Fadia Arriojas This deal was verified and it is working as described. Select the items and enter the promo code at checkout to get the discount. Allen Miller Receive 15% off your purchase with promotion code URWELCOME. 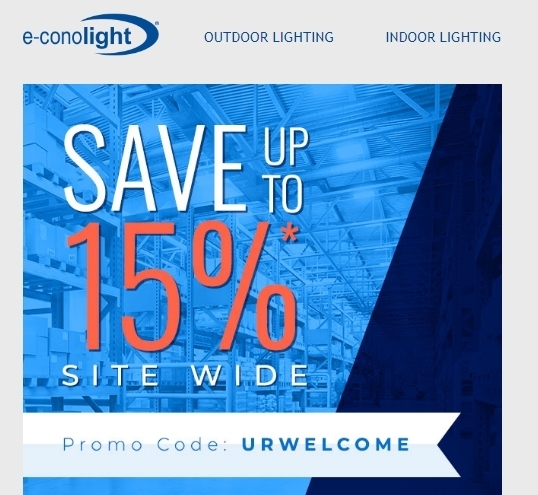 Excludes doorbusters, clearance products, linear fluorescents, poles and bullhorns, C-Lite LED lamps and downlights, and Leviton controls. Offer expires 8/3/2018 at 11:59 pm CT.